Improving your response rate, lead conversion, and sales via email marketing is very important, otherwise there would be no effort or emphasis upon this valuable email marketing activity. To help improve email marketing performance, here are some useful tips you can employ. Would you believe? Go ahead and be plain, looking a little boring. For the subject line of the email, don’t buy into the habit of selling; Tell them what is inside the email. Getting past spam filters is integral to effective email marketing. People are avid at filtering out spam, and so are email inbox systems. Avoid using keywords or phrases that are known to be spammy, and never use CAPS. A quick visit to your own Spam folder in your email can educate you enormously. Old lists often have many invalid addresses, hard bounces, and indicate a need to implement a control system to keep your email list up-to-date and accurate. There are many people who will change their email accounts every few months. Keep in regular contact, at least once per quarter, so you keep your email list as up-to-date as possible. As well, this encourages maintaining the relationship with your email marketing list customers/audience. A soft bounce typically indicates an email address is temporarily unavailable. It could be someone on vacation, or a full inbox. Keep these and try them again at a later date. A hard bounce is a failed email delivery. Often it is a non-existent email account, or an incorrectly typed email address entered when someone became a subscriber. It’s also possible that it is a spam filter rejecting the email. When email recipients receive an email and they click the “This is spam” button it creates an abuse record. This will happen when someone in your audience doesn’t remember you. Ensure you have your From and Subject complete with your company name so they will recognize you. Email marketing remains the most effective form of communicating with your audience and converting leads to sales, and those sales into loyal customers. Many business people are aware of this and are willing to tackle the chore of email marketing, and can easily find themselves bogged down with the task of managing their email list and ensuring the follow-up happens. For some, automation is a dirty word. For others, they understand that it is the process of knowing what they want to communicate and putting the processes in place to ensure their message gets out consistently and effectively. The personal touch remains, as the opportunity for further follow-up happens as a result of effective automation processes. An interesting statistic is that it is the 5th point of email contact with a customer that results in 80% of the sales that occur via email marketing, and yet, less than 10% of small business owners will consistently do this follow-up. There are many services available for email marketing, and today three email marketing tools are presented, plus a fourth that is part of a much more comprehensive software service which does considerably more than just email marketing. Read on! Constant Contact has various price points and is an excellent choice for the beginner who is only interested in marketing with a Newsletter Sign-Up. As you grow in confidence and learn more creative approaches, however, Â you will find this email marketing tool will leave what it offers lacking for implementation on your site. The difficulty with this tool is it limits the number of forms and targeted lists that you can set up. Â During the initial exploration of the service only one Capture Sign-up Form for your website was available. With excellent email marketing, it is important to be able to create additional capture forms for a website that enable segmented sign-up offers that capture leads based upon preferences. See Aweber below to learn more about other uses of multiple forms. Aweber is an excellent tool for email marketing, and particularly for bloggers. This email marketing system allows the creation of various lists, and accompanying Sign-Up Lead Capture forms. This permits new forms to be created for Newsletter Sign-up, as well as others for specific offers that may be created on other website pages or blog posts. With a specific offer posted to a website, when people sign-up, their contact details are being captured in specific and targeted lists that make future follow-up sequences much more effective. The pricing plan is competitive and adjusts according to the volume and quantity of email lists and marketing. A particularly popular feature with this tool is that it will auto-email new blog post updates as a newsletter, thus taking more work off the business owners plate when new blog posts are published on the website. Email Marketing 2.0 sophistication: InfusionSoft offers a superb tool with two price points. The Basic Plan is for a business owner engaged in email marketing for their own personal business reasons. 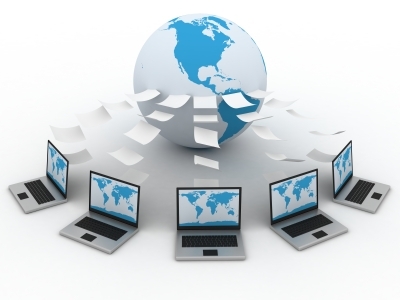 It also allows an additional user account access for support and administration. InfusionSoft offers plenty of templates and sequences already in the resource library to help business owners to get started with creating and implementing their email marketing campaigns. This helps take a lot of the guesswork out of the equation, as existing campaign sequences can be utilized and customized to fit the business needs. The Deluxe package takes things to a whole new level with features for handling ecommerce, affiliate tracking, and collections. With the basic package, up to 25,000 emails per month can be sent out, and the Deluxe affords 75,000 emails/month. There is much more that can be said about each of these product offers. With each service, there are additional options for add-ons that can enhance your online marketing efforts. More information can be found on their sites. Many of these services will interact publishing to social media accounts and profiles. If you use email as part of your marketing strategy, deliverability is probably among your top concerns. After all, emails need to arrive in the inbox before they can effectively generate leads. Unfortunately, there are a few gaffes that can cost you when you send your next email marketing message. Here of the top three mistakes. We know it’s tough to let go of people on your email list but the consequence of sending to people who haven’t heard from you in over six months is quite severe. If you email 1,000 people and two hit the “Report Spam” button, the odds of your other emails being delivered drops drastically. Yes, it’s that serious! The 0.1% industry guideline is mandated from ISPs and burdened by email service providers. To overcome this, do NOT email people you have not had recent contact with (we’re talking longer than six months). Email permission typically expires after about nine months and spam complaints go up exponentially after six months. Alternatively, you can use a reconnect campaign via direct mail like a postcard or letter to help “ignite” their permission again. Permission is key. Over the years, small business users grow comfortable sending to their entire list. This can irritate recipients who don’t want every single announcement from your business. What do these people do when they receive a poorly-targeted/timed message? They unsubscribe and report spam. Tough love, eh? This isn’t the time for list scrubbing – it’s the time for targeted, segmented and truly relevant messages to be delivered to your recipients. The solution is to narrow your broadcasts to smaller groups in your database. Leverage technology that allows you to segment the interest, needs and previous activity of your subscribers so you only send to the ones who expect your email and are interested in getting specific and targeted information from you. Similar to above, sending infrequent, unexpected emails to your subscribers can be just as damaging as sending too often. Email recipients often expect to be notified on a monthly basis, maybe more or less frequent depending on your expectations when they opted-in. 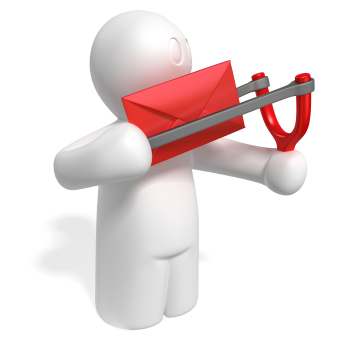 Exercise discipline when maintaining a quality email relationship with your subscribers. If you plan on changing your email delivery schedule, let them know. Some marketers allow subscribers to self-segment into “Daily,” “Weekly” or “Monthly” communications. This reduces spam complaints and allows recipients to receive messages when they want them (not when you do). The cost of making these email mistakes will vary by the type of business you have. Undoubtedly, it will often cost you valuable email relationships as people unsubscribe. If you don’t adhere to best practices, your email service provider could drop you for spam. There is a laundry list of to-dos and don’t-dos out there but it really comes down to one thing: respect. Respect your subscribers’ needs and interests and they will reciprocate. These top three mistakes small business email marketers do are often overlooked until after they’ve shot themselves in the foot. Consider this advice before you send your next email marketing broadcast. Purpose: This is the single most important consideration to being laser-focused on your research to get the results you desire. When thinking about Purpose, most often we think about our own sense of purpose, dreams, and desires related to the business we are creating. Too caught up on this singular point-of-view, however, can and usually does interfere with reaching your market. Creating any business, the end-goal is to create business relationships that will become customers who pay, stay, and refer. The only way you will achieve this is by putting your focus upon the customer and serving their needs. When we endeavour to â€œsearchâ€ online for what we’re looking for, it is typically very rare that we search for the item by name. We usually will search based upon the outcome we desire. Get Help: Often this perspective shift is difficult to explore alone. You can attain better results establishing the best viewpoint through brainstorming with someone. You can use the help of an Internet Marketer, a Business/Career Coach, or through a Mastermind group. This site is a food and lifestyle blog created and maintained by a Vancouver wine representative. With the geographic place-name, Vancouver, in the domain name, her website gains immediate traction in search results for her local market. To learn more about a Content Development Strategy, contact OMC Social Media Solutions. Buying a domain name simply registers ownership of the domain name to you, reserving it from being scooped by anyone else. Once purchased, when the site is hosted somewhere else, the domain name needs to be pointed (directed) to the server on the Internet where you website will reside (hosted). A personal favourite web-host, Dreamhost, offers One-Click Installers, and a whole variety of other accessible services that supports your online development and marketing activities. With the One-Click Installer, for example, you are able to quickly and easily install and setup the software that will help you build and launch your website. The top-favourite software to install today is WordPress. Once the hosting software is installed that will allow you to build and adapt your website to your needs, you are able to access hundreds, even thousands, of theme template designs for the website that will give you a functional web design to get you started. For more sophisticated online marketing & business management tools, contact us at OMC Social Media Solutions about the turnkey hosted tools that offer a full suite of contact management and communications, email and autoresponders, member management, ecommerce, and content management system. When you give thought to your biggest online marketing challenges, getting a website online, utilizing the tools of social media, automating and so forth, what are your most significant challenges.